Leland (“Lee”) Howard is a professional photographer who goes the extra mile, both literally and figuratively, to capture memorable images. His credits number in the thousands and include the National Geographic Society, Hallmark, Warner Bros., MGM and many others. For a true artist, the tools of the trade become an extension of the self. For photographers, this is especially true. Anyone can pick up a camera, but mastery of cameras and of that ineffable “eye” that marks a body of work as uniquely individual—that mastery takes time. Lee has devoted more than thirty years to his art as a nature photographer. Though the mechanics of photography are now second nature to him, seeing the image he wants to capture is a process that transcends words and is, in a sense, new every time. This freshness of approach is evident in the range of moods his photos evoke, and in the evolving sensibility of this artist. Lee has an exceptionally detailed knowledge of the rough and tumble territory of America’s “wild west.” Areas that can only be accessed by hiking, backpacking and cross-country skiing are part of the challenge and part of the reward. The patience to wait out a storm, the diligence it takes to explore access routes that aren’t on the map—these traits are just part of the toolbox for Lee. He takes them for granted, and we revel in the results. One of Lee’s cameras looks as though it could have been made in the early 1900s. It is a large-format Wisner Company sheet film camera. 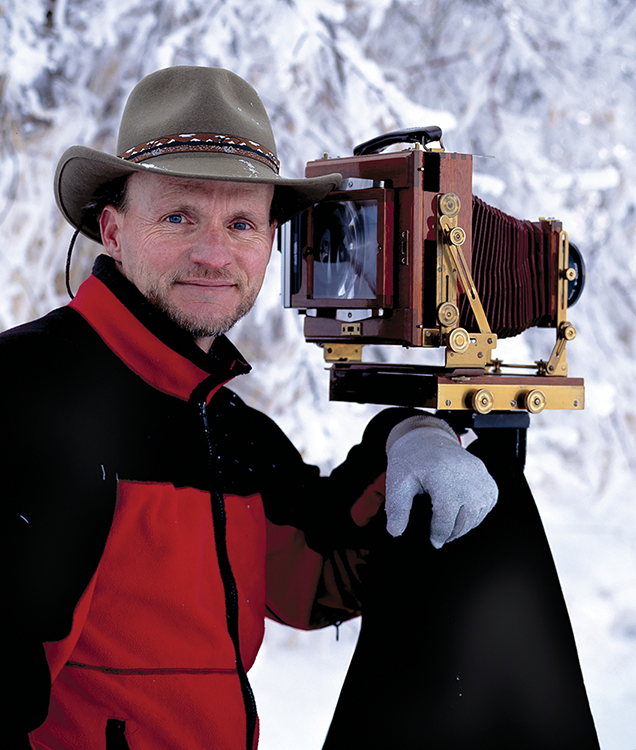 Howard also uses several digital cameras, choosing from his photographic tools whichever is most suitable for the job at hand.